As the RTL-SDR and other SDRs are wideband, we recommend that people use a wideband antenna if they want to scan over all the frequencies. 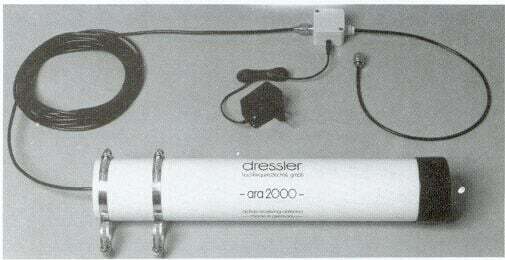 Normally a discone or a scantenna is suggested as the wideband antenna of choice, however there are alternative designs such as the Dressler ARA-2000 which is a type of log spiral antenna that can receive from 50 – 2000 MHz. This particular product is no longer for sale, but an article detailing the breakdown of its construction can be found online. The article shows how to build the antenna from scratch. The active element consists of a thin copper sheet (or copper foil) in the shape of a wedge which is rolled into a cylinder around a plastic sheet. It is then connected to a low noise amplifier (LNA), which is powered through a bias tee. For the LNA something like the LNA4ALL could be used if building it yourself. This antenna may be something to consider if you are thinking about building your own wideband antenna. It has the advantage of being much smaller than a discone and it can also be fully enclosed in a plastic radome to that fully protects it from weather elements. The author of the article also writes that he saw better performance from this antenna than when compared with a discone. 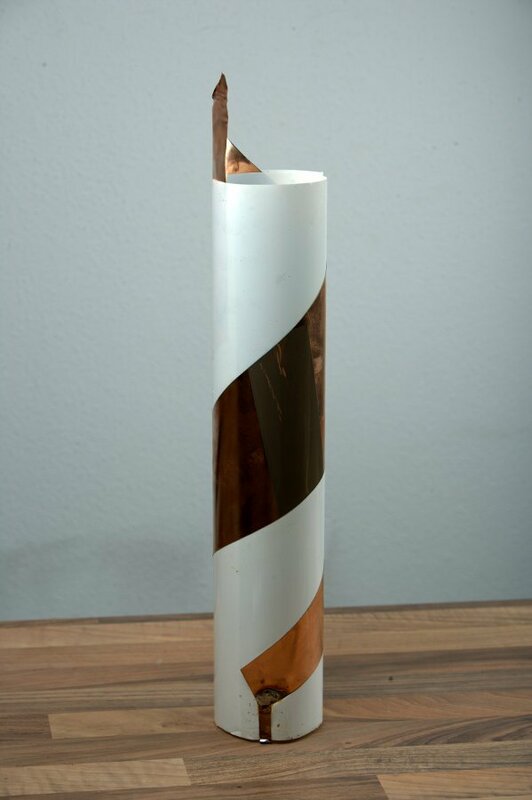 Is it possible to change copper foil with aluminum one, and would it change antenna’s rf properties significantly? Could it be the same concept of PA0RDT mini whip? Interesting new about the coaxial cable being part of the actual antenna of the Mini-Whip. Could you provide a reference or link to this statement? I currently understood that it’s meant to be hanged 5-6m high due to man made noise interference. Perhaps this refers to the beginning message from PA0RDT himself. I’ll need some more time to find some more useful information though. If it is however true, I might have to change my setup as most of the coaxial cable length is rolled up to a coil inside my house as the cable is too long. Hi Robin, la night i went to search for more links for you and i posted but the message was awaiting for moderation and was not published. I don’t know if i did something wrong but in this case somebody has to tell me, i do not want to be forced to change nick for no reason. I’m 51 yo, sw radio enthusiast since age of 12 and ham radio licenced since age of 19, i made my first dipole 37 year ago and installed my first 3el. beam 35 years ago, and even if life sometimes make you change route for a while and sure that some 20yo guy in the internet age will know much more than me, i am not the last dickhead arrived here after reading that a dongle can be hacked for free. As i said earlier another relevant test to support the idea that the feed line is part of the antenna system was carried from PA0RDT himself replacing the cable with optical line. It was posted on yahoogroups here but i could not access it so i read the transcription in the italian forum mentioned before. Thanks for the links, I’ll check them out. Your initial message was posted though (it’s below our conversation). If the coax shield is part of the antenna it would explain why an optical cable would not work and also why I’m picking up interference from my LCD monitor whilst my Mini Whip is located outside: I’ve used a long cable which is coiled up in my house to compensate for the long length, maybe this is picking up the LCD monitor interference. Unfortunately I’m not able to play around with the height or use a pole for the mini-whip, so I’m unable to experiment with height vs reception strength. So I hope I’ll find some definitive answers on the coax shield. Thanks for your info. So no matter how high is the antenna, if you put the receiver on the top of the antenna mast closed to the mini whip you have poor reception. No coax, no party.